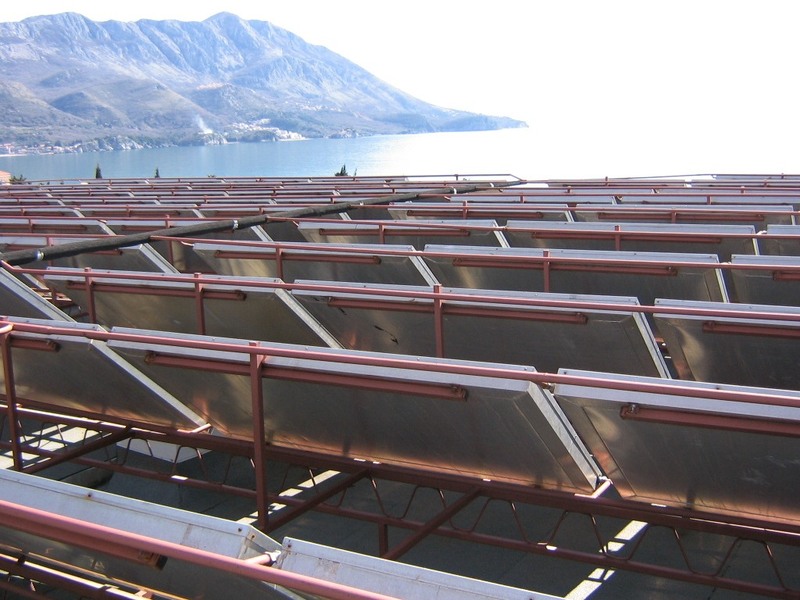 Flat plate solar collectors "TERMING-SK" are made from domestic materials and are characterized by economy, quality, design, suitable for installation on pitched and flat roofs on a custom-built construction. The casing of the collector is a rigid box made of aluminum - sheet metal and profiles, combined into one unit. At the request of the customer we can develop the casing out of stainless steel as well. 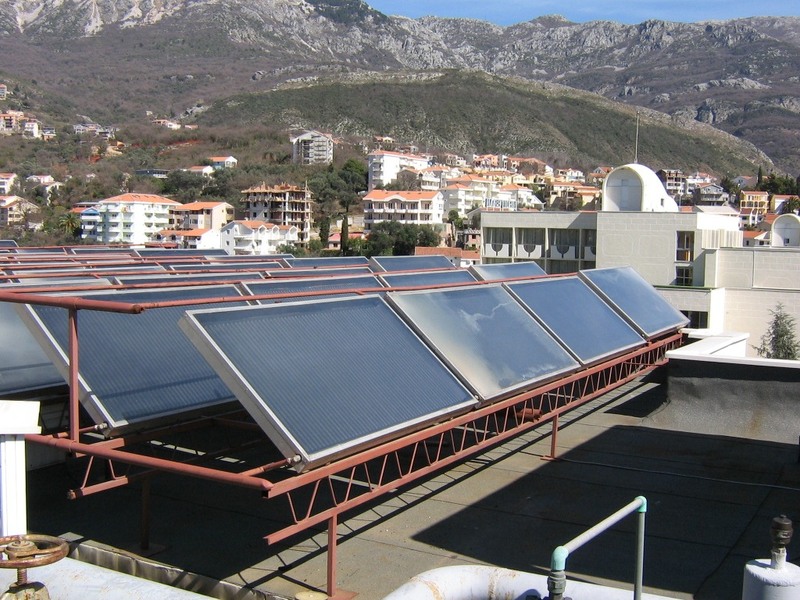 A 40 mm thick thermal insulation is placed on the bottom and the sides to reduce heat losses. 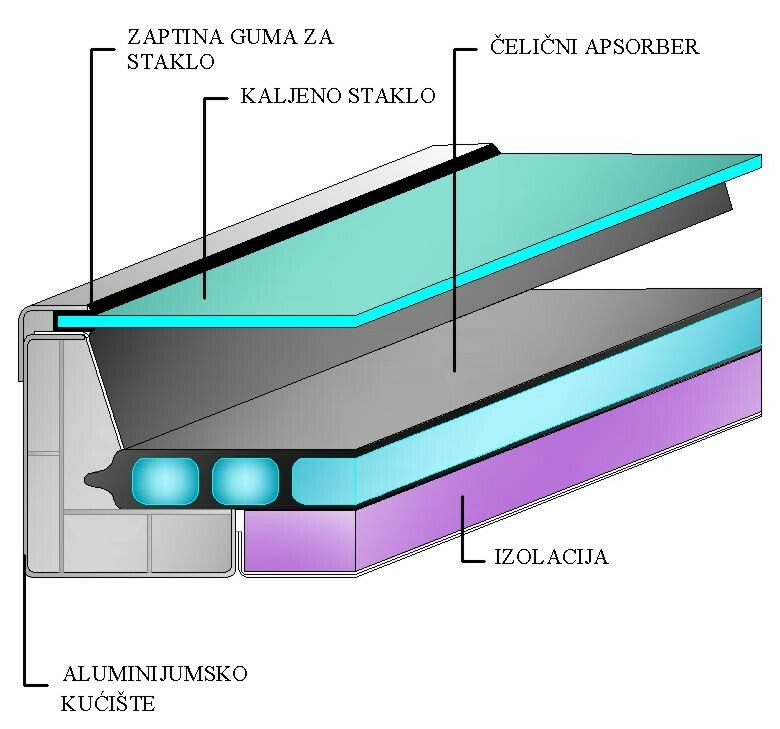 The absorption (collector) plate is made of phosphated sheet metal, pre-pressed into a certain shape and welded at the joints. 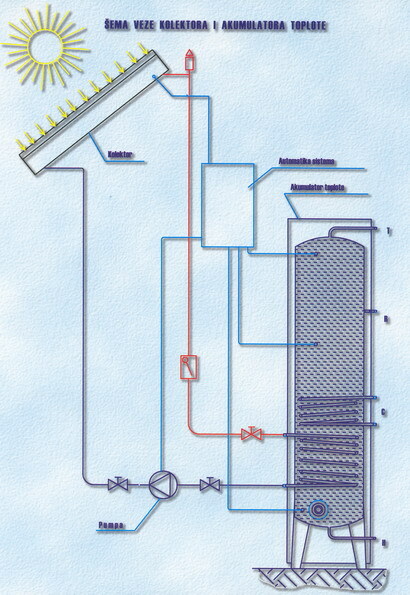 The energy of the solar radiation that reaches the absorption surface is transferred to the liquid as a heat medium, which flows through the plate. 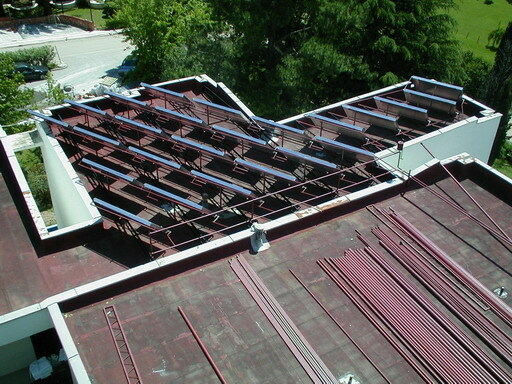 It is installed in such a way that it does not create a thermal bridge with the casing of the collector. The absorption surface is part of the collector plate, which receives the radiation energy and transforms it into heat energy that is then used to heat sanitary consumption water or space of the household. The same is painted black, which has a high degree of absorption. The cover of the absorbing box is placed in order of heat insulation of the absorption surface and its protection from external factors. Made of a single layer of tempered glass 5 mm thick, which transmits light well. 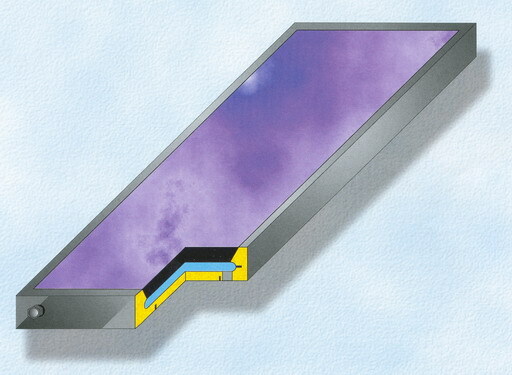 The air layer between the absorption plate and the cover keeps the heat, reduces losses due to reflection and convection. The connection between the absorbing box and the cover is flexible and made of rubber gaskets or silicone putty strengthened with aluminum strips. 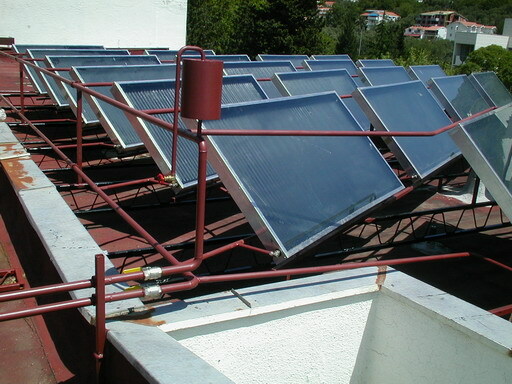 In case of pipe solar collectors, the absorber is made of steel or copper pipes. daily consumption of hot water per family member is: 30-50 lit. so each member of the family needs 0.6 to 1 m² of the collector.